Everyone is sick of the story about Gavin and her fight to use the male restrooms at the Gloucester, VA High School. We feel pretty much the same way, but we have noticed that mainstream media continues to fail to bring various aspects of this story to light for readers which is why so many are sick of reading about this fight. Today we are speaking for those who can not speak for themselves. The other side of the story no one else wants to publish nor dares too. Has anyone noticed that the teachers and staff at the Gloucester High School have not been interviewed for their opinions on this issue? Let's look at some concepts here. If teachers and staff should have to use the same restrooms as the students then having a transgender walk in while one of them are in there can represent a real issue that is simply being ignored by the press and the ACLU. What about the rights of any adults that may need to use the restrooms of the school? You are dealing with a minor in this situation and if the transgender student has an issue with that adult all kinds of accusations can fly creating havoc. Of course this can happen without transgender students but is much less likely and there are other bathrooms for teachers and staff. However, teachers and staff still need to monitor these areas for potential trouble. Now you will not get any of the opinions from any of the teachers or staff of the school unless it supports the issue. Anyone giving the perceived wrong opinion is likely to be fired or come under heavy media scrutiny and potentially sued. It is the obligation of those charged with deciding this issue in maintaining the moral factor for all students and not trying to figure out the questions of some perceived rights of some few across the nation. It does not matter what other students may think of the issue and whether some come out and say they have no issues with the situation as they are minors. It is our obligation to make many decisions for minors or they would "NOT" be minors would they? Let's look at it another way. As a male one may not care if the females want to come into the bathroom while a male is in there. But, would the female students want a male walking in on them? Not likely. Males may have motives for their seemingly liberal answers. The precedence that could be made here is far reaching. If Gavin is allowed to use the male students restrooms then what is to stop any female student going into the male students restroom with a male? Here is the claim that can be made if she is caught. She is a transgender male who is gay and went into the male's restroom with her gay male boyfriend. Is Gavin a gay male transgender? That question is not being brought up. Again let's look at the idea as though this is a member of the staff at the school. A female janitor who wants to clean the male students restrooms while the males are in there. 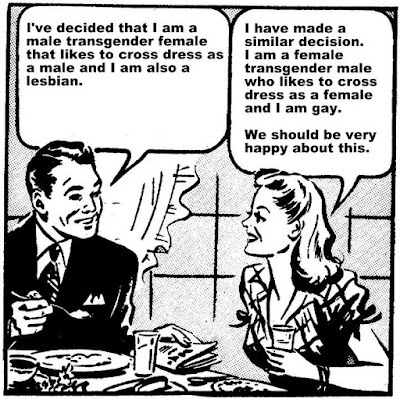 The female janitor's explanation is that she is a transgender male. What is the decision now? How is this different? 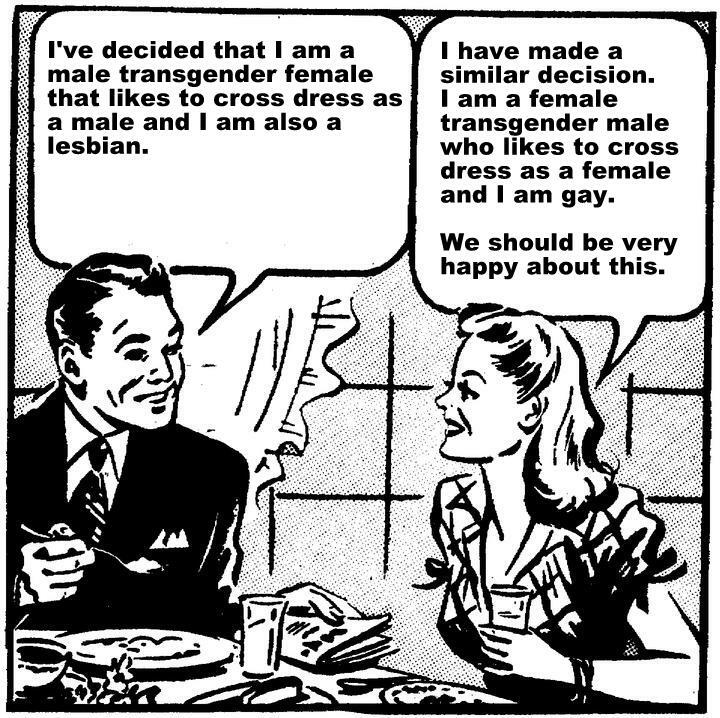 Do we make the same provisions for cross dressers? Could start a real trend. There is a similar case right now in Texas. A male who claims he is a female and wants to use the female student's locker room. Oh but that is somehow different? No it isn't. It's morally wrong and the mainstream press not addressing these issues is equally morally wrong. It is all a part of tearing down the moral fabric of this and every other country across the world. If Gavin can not use the men's restroom at Walmart or Lowes or any of the local restaurants then why should the school be any different? It isn't. This fight is nowhere over and it is best that people do get involved in this fight until it is finally put to rest. Are we going to continue to allow the few to dominate the many on supposed conceptual arguments of rights? Do we ignore the morals of this nation? It is an adult's argument to begin with. Minor's need to be protected here. And how many people notice that every picture of Gavin, she is always wearing earrings? Yes some males have earrings but most males that have earrings usually only have one ear pierced not both. Gavin has both pierced and another facial piercing as well. I am not buying her story. The word heard on the street which we can not verify is that Gavin's parents are betting on receiving a lot of money from the lawsuits here so is that the main incentive? It is also heard that they have plenty of plans on how they want to spend all of that money.